I get a big fat F on this project. I fell in love with this whole look. 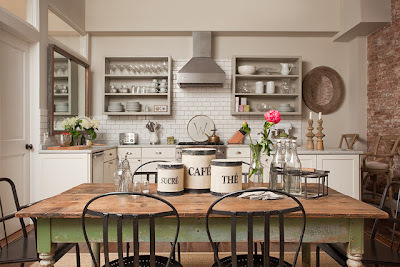 So, I got the wild idea to paint the apron on my farm table to mimic the one in the picture. I used 2 greens I had on hand, I think they were mis~tints from long ago. Then I added a ton of Annie Sloan dark wax. I LOVE the color, only problem is, it doesn't match the rug at all. That's what I get for diving into a project without thinking it through! Luckily I only did this one short side, so I can easily sand it off or paint over it. So, that's the million dollar question. Do I keep going with the paint, only use a different color? Or, leave the table au natural? If the color doesn't work for you, add a little green to move away from the turquoise. That being said, it doesn't look bad exactly the color you painted it. The pop of color looks great! I like it, just the way it is going! I think a little lighter mossy green would work well, not so turquoise . But keep painting, I love the look. I think the color you are painting the table is beautiful. I would find a new rug to coordinate more with the table. I think it's just because its more of a vibrant/pop of color than you are used to having in your kitchen that is throwing you off. Please keep going...I want to see the fnished product! I have to agree that, green or natural legs, you replace the rug. I think your new green finish looks fantastic though! I love it!! The contrast and coordination is fabulous. Paint is cheap, so go with the color you love. 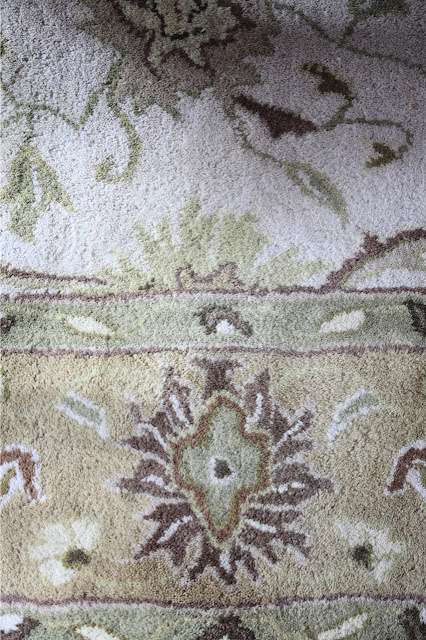 If you want a more muted tint as in the beautiful rug, then a sage green is lovely. On the other hand, if you love the way this color sings (as I do) then keep painting! I think you just need to decide if you want a matched subtle look or if you like to mix it up with surprises here and there. I think the table is looking wonderful...love the color! 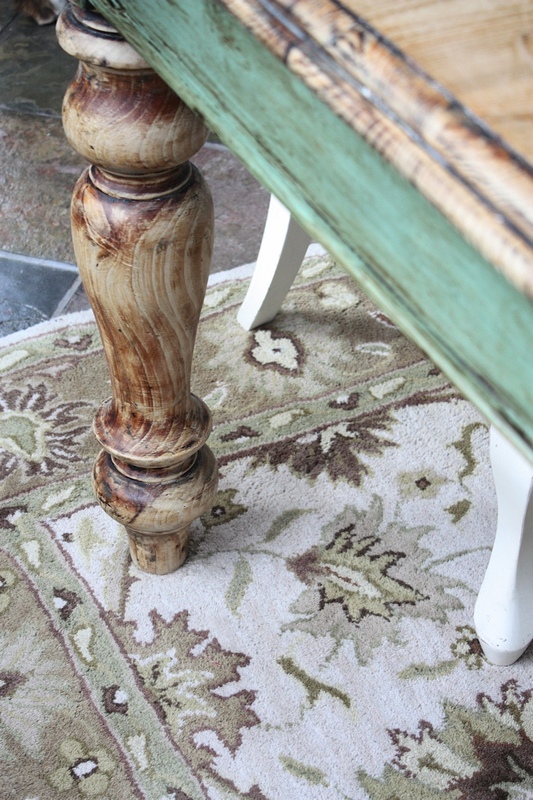 You can always get a natural rug like jute or something woven and it would really look farmhousy! I think the tones in the rug go perfectly with the color of the table. Like whites, greens go with each other naturally. Think about a desert landscape, and see how many different greens you see. Keep going. I love it the way it is! I think it coordinates beautifully with the rug. But I am not at all a matchy-matchy person. I think an eclectic pulled-together look is so much more interesting than everything matching. I'm sure whatever you decide to do will be beautiful! 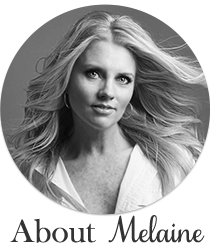 Hi Melanie - I just discovered your blog. I saw the post title "failed" and thought I'd read on. If I may add, I think what you've done with your table looks great!! Would love to see how it turns out. Best of luck! Love it! Paint on...I think it looks great with the rug! Looks great! Love the color! If the not matching bugs you now, I'd think it always will-- your paint job is fabulous, though, so I'd recommend just adjusting the color! I am with the crowd who loves a less matchy-matchy look....although I had to laugh at the advice of changing the rug. Rugs are usually more expensive than paint! But of course, that is always an option, if you are not in love with your rug. If this will continue to bother you, then just "sage it up" a bit. Adjust the color to a more muted shade. I wouldn't do away with the project entirely, though. You are doing a great job! How about Annie Sloan Versailles or Chateau Grey?? I love it! When you bring something else in the room with that color it will all go together without being too matchy. I love the look you have - just change out the green so it isn't so bright. You have such an eye. Ok..so, it looks like you have many suggestions but I'll throw my 2 cents in...why not! I would change the paint color to a more earthy green..mossy? But I would do it VERY chippy! That way you haven't lost the natural tone of your table but you get that Hint of color! Hope this makes sense to you?! Good luck whatever direction you go! You could always use that rug in a different room and get a new one for your table. I could never re-create that look on the table. Please give a step by step on how you achieved that look! You know sample experimenting with color proves to be the mother of all invention......I am throwing my hat in with a less matched color scheme.....and I like the contrast! In the long run, you are correct, paint is cheap and a very forgiving medium! well....are you gonna keep painting or go natural? I love your inspiration picture and I think it's a great idea to have that part of the table painted a color.....the color you have on there is beautiful but I totally get it that you think the color is off. Sometimes a color in a picture isn't what it really looks like in person. Don't stress about it. It's only paint and it looks great! 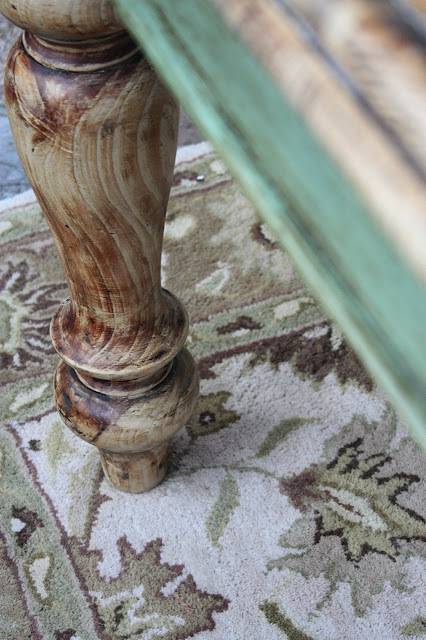 The table will be the pop of color and the rug will fade into the background. I love that table.I stop by often to check out your dining room. I love the way the table is looking more than the rug. I agree with a few others that suggested you change the green to be a bit more earthy. The green in your inspiration pic would look nice with your rug. But I'll be honest, when I saw the very first picture my initial reaction was, "She needs a new rug!" First- your dining room rug is soooo clean and beautiful! Second- I spy some fabulous stone tile under there that's should be in the spotlight with that table!!!! Exxxxtra Credit- You always do A+ work! I love love that table. Maybe it's just the picture, but I think it looks good with the rug. My first thought is if you like the green on the table just get a new rug! If you don't want to get a new rug then I would definitely use a different paint on the table instead of leaving it natural. 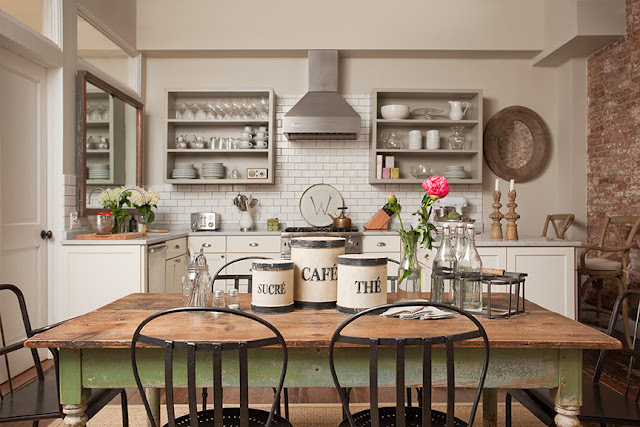 I love the look of paint and natural and I really like all the dark wax you used. And another thing - I don't think in necessarily has to match the rug. Unless it hurts your eyes every time you look at it, I wouldn't worry about it matching!